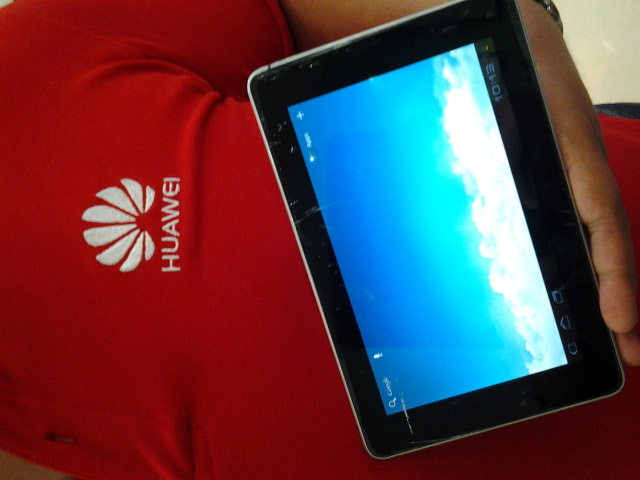 Huawei 3G tablets have landed! Just when I thought I got the best tablet in town when Huawei just dropped in – albeit a week later after I bought my 7″ plus Samsung Galaxy tab – to launch its best 7-inch tablet to challenge Samsung Galaxy’s 7.0 Plus tablet. This is not the touted iPad challenger but at only Php19,990 a pop, this device is touted to give Samsung a lot of challenge. It’s body is 10.5mm thick only but it brandishes an aluminum unibody (back cover) that only a much more expensive 7.7” Samsung tablet can achieve. It runs fast with a Dual-core 1.2GHz processor and a 1 Gb RAM. It’s camera is a good 5 megapixel size while Samsung’s resolution comes up to 3.2 megapixel. But wait…what’s Huawei? Who’s Huawei? Huawei is a Chinese company that’s made its mark in the recently held Mobile World Congress in Madrid, Spain. It’s new products, the Mediapad 10 FHD (Full High Definition) and Huawei Ascend D Quad made a debut in that event that pundits said will give The New iPad a run for its money because of its form, function, and processor speed. It’s Smartphone products are now making waves in the Middle East, Europe, and Africa. This 7-inch Huawei device is only available at flagship MemoXpress stores in SM North EDSA and Megamall. It’s price is not a promo fit (does not expire) but as soon as stocks are available only. The device is so good, I’m willing to trade off my Php23,990 Samsung for Php20,000 just to be able to buy this new device (That’s almost Php4,000 discount). I bought my device March 27 only and it’s in solid condition. 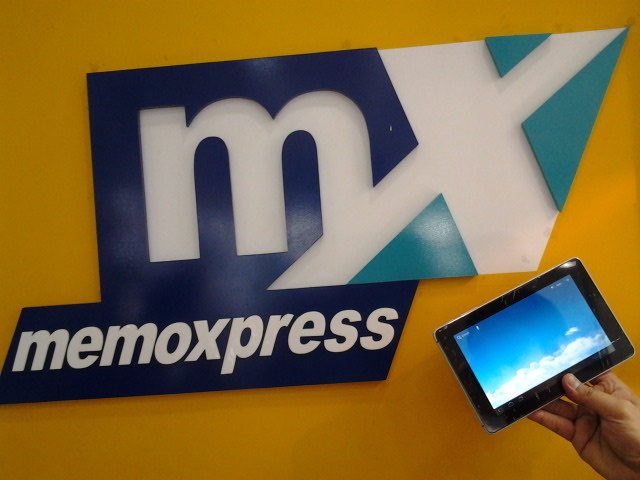 If you’re a Samsung-lover, then grab the chance and get my new toy for that much discount. By the way, did I say that the price comes with a Php3,000-value Capdase screen protector and leather case? So I don’t know what you should be waiting for. Drop me a comment and I’ll get in touch with you. First come, first served basis!